A delicious and quick snack from Ghillie Basan‘s new book Spirit & Spice. And it goes perfectly with a dram! Tofu tends to be one of those love-it-or-hate-it ingredients because it can be very bland, but over the years I have managed to convert many haters with this Vietnamese way of cooking it. The key is to pack the marinade with lots of flavour, which the tofu absorbs, and then to stir-fry it quickly. In Vietnam, aromatic pepper or purple basil leaves are often added but you can toss in sweet basil, coriander or lime leaves. The peanuts added at the end add contrasting texture to the smooth tofu. I often use Turkish pul biber for heat as it is so fruity and versatile but you can use dried or fresh chillies if that’s what you have. The umami flavour of soy and the sweetness of the jaggery complement whiskies with smoke and spice notes with a hint of citrus – Ardbeg 10 would be perfect. In a bowl, mix the lemongrass, ginger, soy sauce, mirin, chilli, garlic and turmeric with the jaggery or sugar until it has dissolved. Gently toss in the tofu, making sure it is well coated and leave it to marinate for two to six hours. Heat the oil in a wok or heavy-based pan over a high heat. 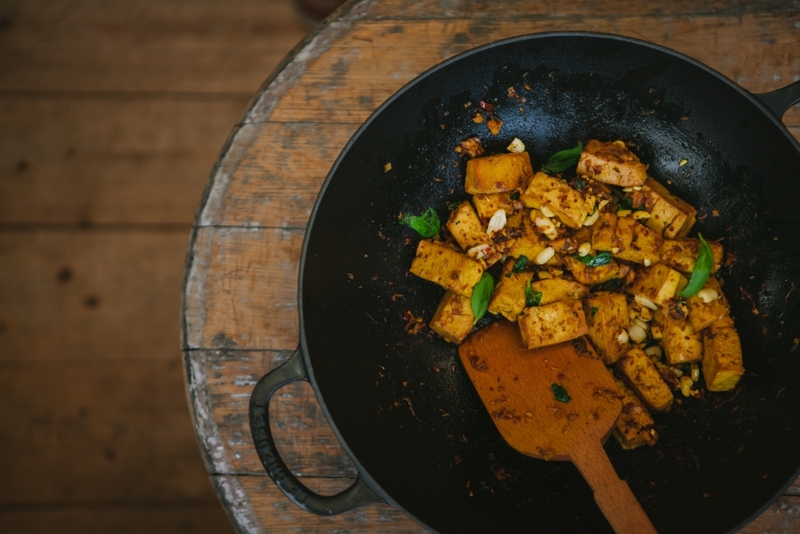 Lift the tofu out of the marinade and toss it in the wok. As the edges begin to brown, tip in any leftover marinade, and cook until the wok is almost dry. Toss in the peanuts and most of the basil leaves. Tip the tofu onto a serving dish, scatter the remaining basil over the top and serve hot or at room temperature with an extra drizzle of soy sauce, if you like. 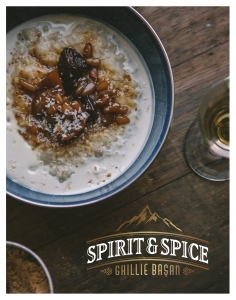 Buy Spirit & Spice by Ghillie Basan here.